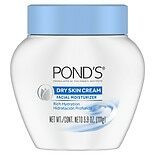 Shop POND'S Cream Dry Skin (3.9 oz. )3.9 oz. $529$5 and 29 cents$1.36 / oz. 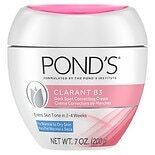 Shop POND'S Correcting Cream Clarant B3 Dark Spot Normal to Dry Skin (7 oz. )7 oz. $1099$10 and 99 cents$1.57 / oz.